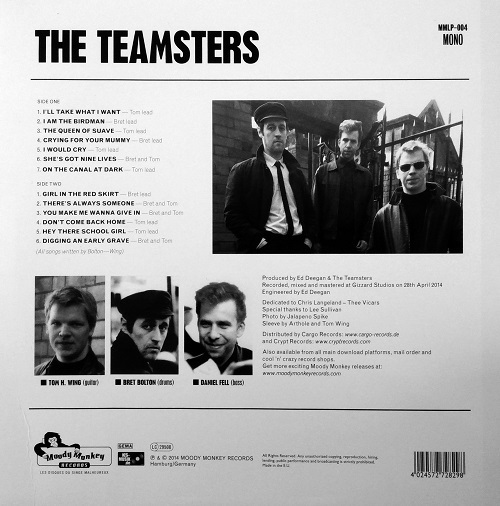 The Teamsters - The Teamsters ! 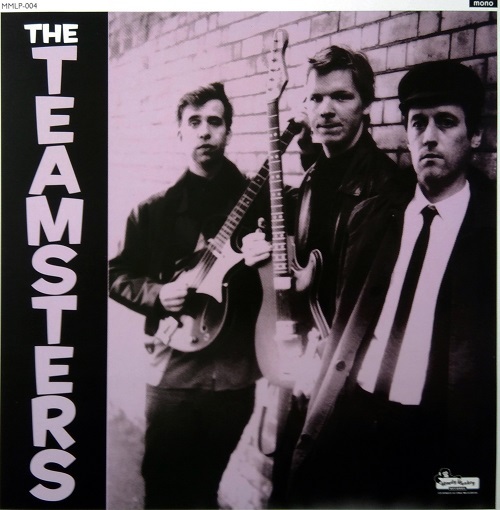 Beat/Rock & Roll/Punk London combo The Teamsters release their first album and it's a winner, as expected after the great 7'' EP 'Play Along With...' they released earlier. Addictive to the core, you won't be able to stop singing/dancing to this record until you have to play it again, over and over! After their explosive start and their sensational four track EP unanimously welcomed earlier this year, here we go with the eagerly awaited début album by… THE TEAMSTERS! Thirteen tracks not only for fans of Medway Beat, but simply for all of those who appreciate real good pop music as well as 77 punk music. It includes of course a touch of 60s influence with Mersey Beat, R’n’B and R’n’R. However, the three young Londoners are living in the wind in 2014, and that is to be heard in their music. These 13 pieces of sparkling originality are all composed by the infernal songwriting duo Bolton / Wing. 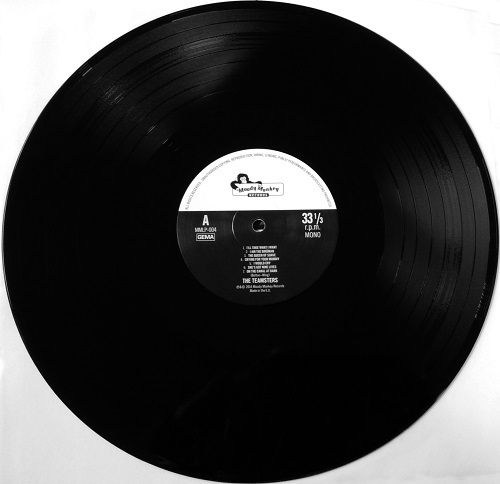 The album was recorded by Ed Deegan (ex Toe Rag Studios) at Gizzard Studios in London. Bret Bolton’s drums make you swing, they are straight to the point and he knows exactly what to do. They’re just perfect, the way they should be. Bass duties were taken over by the new Teamster by the name of Daniel Fell. Just listen to the menacing, angry but touching, voice and guitars of Sir Tom H. Wing to finally win you over. Après le chouette premier EP paru un peu plus tôt, le label teuton Moody Monkey Records produit enfin l'album des Teamsters sobrement intitulé 'The Teamsters', et c'est une réussite monophonique totale. 3 garçons dans le vent re-Beat londonien actuel qui nous font un retour vers le futur des plus agréables au travers de compos pas piquées des hannetons. Same Rip specs as usual, now you know that I'll take what I want!